Stainless Steel Armor of God Black Carbon Fiber Bracelet | BUDK.com - Knives & Swords At The Lowest Prices! Stainless steel has never looked this good before! 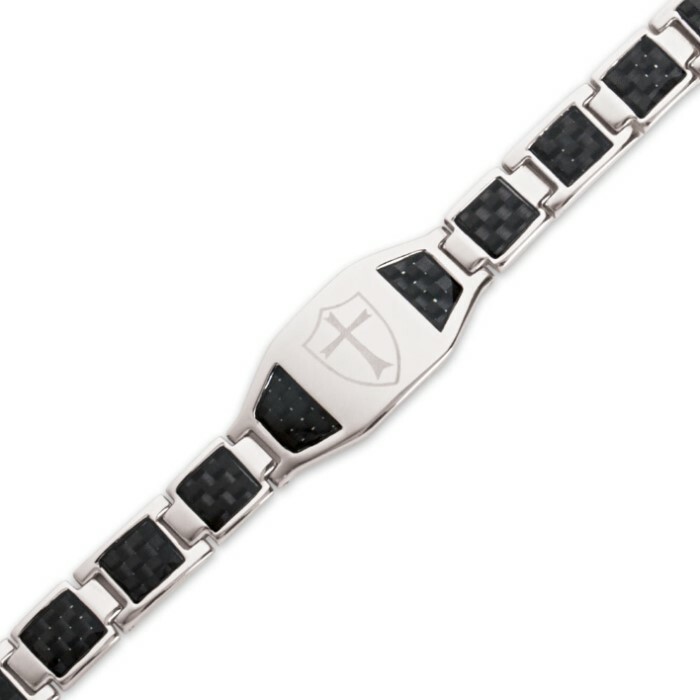 This bracelet is incredible looking with its black carbon fiber inserts that provide an elegant contrast. 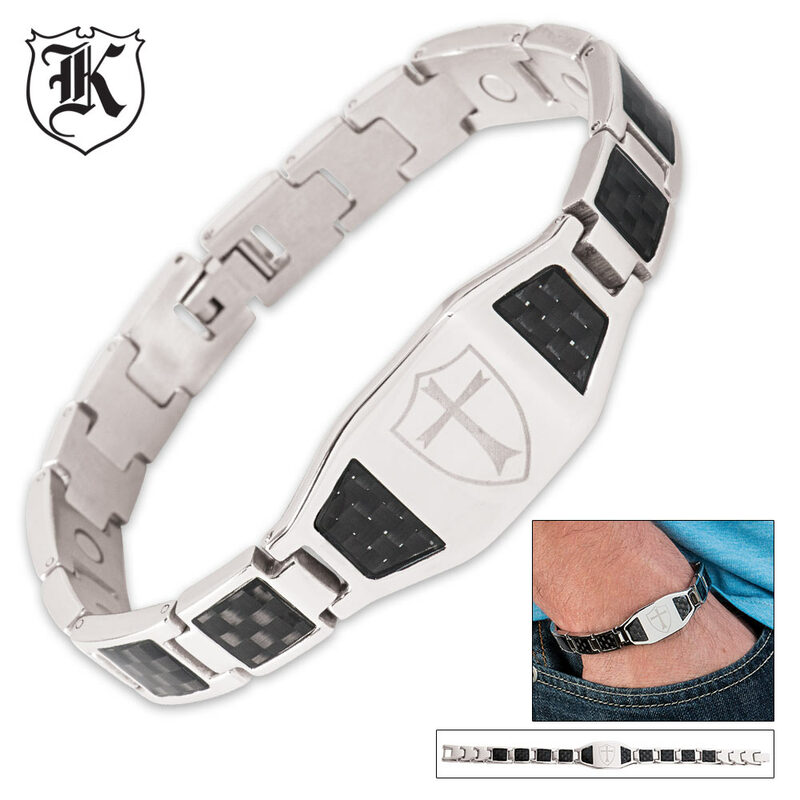 It features an "Armor of God" design element and also has integrated health element magnets for an extra benefit. The bracelet is 8 1/2" in length. 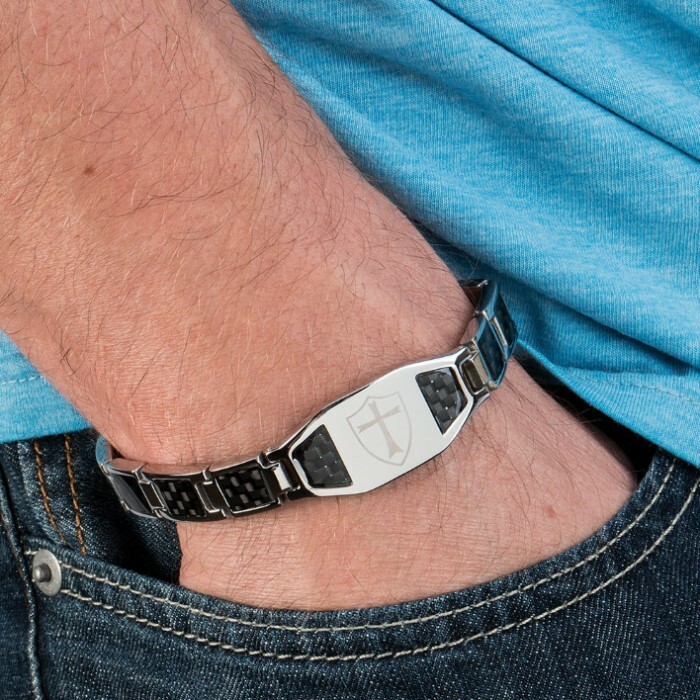 It makes a great gift for a birthday, Father's Day or a Sunday school class member. I have received more compliments, oh's and ah's wearing this surprisingly high quality and durable bracelet than I have wearing much of my "high dollar" jewelry. I have been wearing this for about 3 months straight now and it shows little to no wear. From home, sleep, play, shower and work(in a factory) and it looks almost just like new. I have no idea if the carbon fiber is "real" but it looks awesome regardless. I have bought several for gifts and am going to try out the other carbon bracelets for sale here. I just hope the black ones don't scratch the black off of them to easily. I will review those as well after I put them through their paces. All B.S aside knowing what I know now, I would easily now pay double or even triple for this without hesitation.